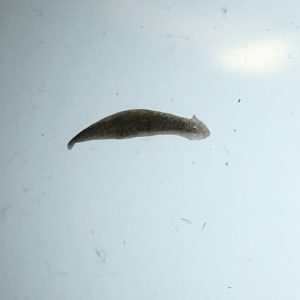 Our understanding of biological immortality was given practical application with our experiment with the planaria in Professor Chamany’s lab. Although we have read a lot of theoretical work surrounding biological immortality, and the mechanisms for the regeneration of life, the actual physical practice and observations that took place during the experiments created a deeper understanding both of biological mechanisms of the worms, but also of the specific scientific theory behind the conditions that allow for regeneration as explained by Professor Chamany. Beginning with concepts of cell death, we quickly transitioned into discussions of space and temporality in regards to biological immortality, ascertaining that environment and context are crucial to already present notions and experiences surrounding ideas of biological immortality. This was apparent in our own presentations, as isolation and starvation are two factors that prompted the rapid regeneration that we saw in our subjects, even the ones we used as controls and did not interfere with during the duration of the experiment. Due to this context specific conditionality, along with the Hayflick Limit, questions arise regarding the very possibility of idealized biological immortality that is pervasive throughout normative thought– how is true immortality even possible when environment is taken into account? Furthermore, notions of aging also come into play, especially given the readings we perused prior to the lab; although aging can be technically slowed, or is being attempted, does this constitute what can be seen as true biological immortality? 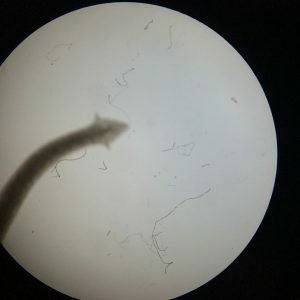 In our actual experiments, the role of stress as a catalyst for the worms’ regeneration was very clear. Our first worm split horizontally into two new worms, our second worm doing the same, but regenerating vertically, and the third which we left untouched, shedded off into three entirely separate organisms. 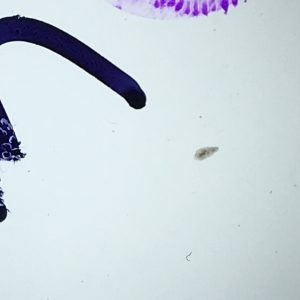 What was especially striking to me, is that all of the particles of the worms, no matter how minuscule, showed signs of life, albeit at different stages of development. 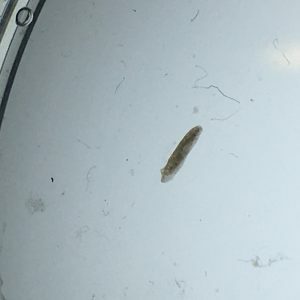 I obviously had some qualms about inflicting harm upon the subjects, but regardless of active physical harm imposed, even conditions such as starvation served as integral to regeneration– an undisturbed worm shedded and multiplied solely in order for biological diversity and higher likelihood of survival. 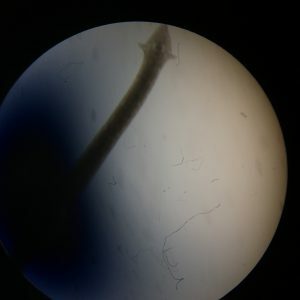 What was especially striking to me is regeneration and survival rates when worms were solitary, versus when their new counterparts were created– what is the experience of the “new” worm when sociality is introduced? How does this lead to formation of experience and personality, especially with the development of a new brain? Is this truly a form of immortality, or simply another form of reproduction, as each new worm may be biologically identical, but contain different sentient worm “individuals”. This lab really enriched my experience of this class, and helped link many of the ideas that we have been discussing. 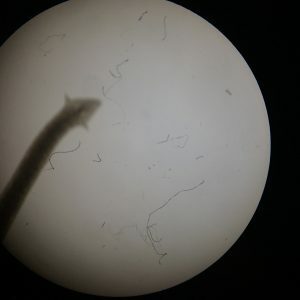 Ultimately the experience was one that was incredibly enjoyable for me, and I was extremely interested in observing and documenting the worms and their behavior. May they live in peace henceforth.